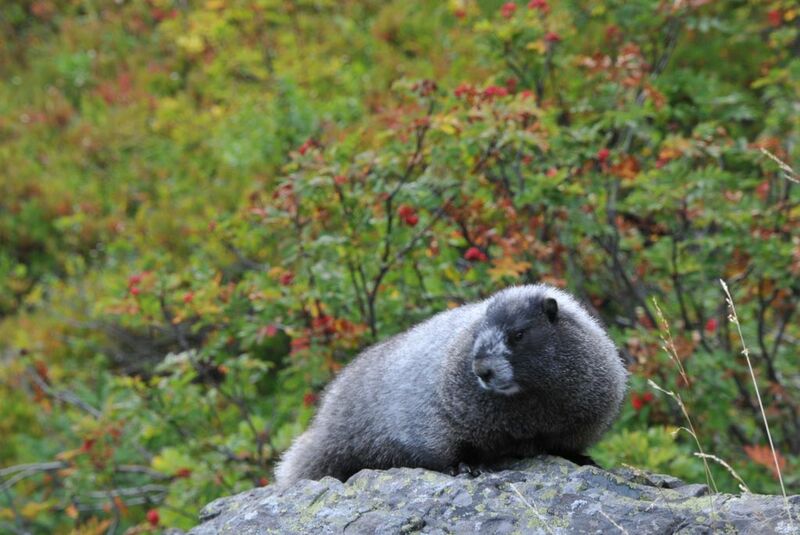 Marmot on rock near Lila Lake. I continued on another mile to Rampart Lakes where I tried fishing and caught one small cutthroat, then ate supper before hiking southwest up to a saddle below the crest of the ridge. I found a flat spot to camp just south of the saddle.